After a week where I’d written two RIP pieces, I really wanted to quickly bash out something upbeat and positive about some life-affirming music. However, it’s now late on Sunday evening after another long day of work (that’s the problem with freelancing – sometimes you’ve got to take the work and worry later about how you’re going to find the time to do it all) and I’m way too fried to think of anything coherent to say about anything over the course of several paragraphs. But I want to be enthusiastic about something, damn it! 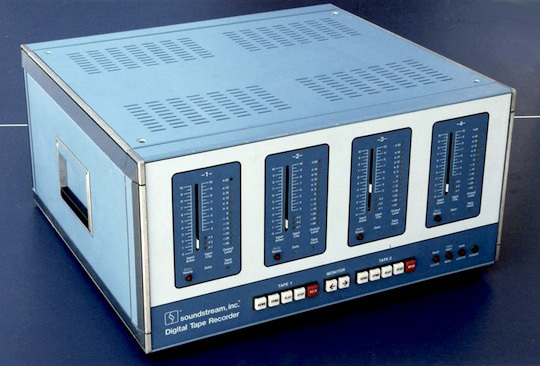 So here are a few unconnected thoughtlets; some stuff I’ve been digging lately, some stuff I’ve been revisiting, some thoughts that won’t leave me alone, that kind of stuff. Football. Yes, I follow football. Tottenham Hotspur, to be precise. Tough period coming up between now and the end of the season, especially without Gareth Bale and Jermain Defoe for a couple of matches, but I remain positive. Too many Spurs fans exhibit a wearying kneejerk pessimism, and I refuse to give in to it. 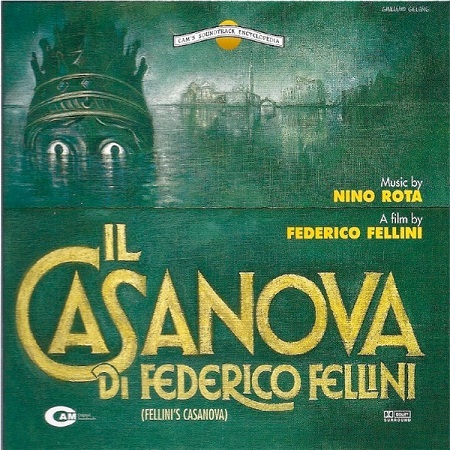 I’m really excited by Nino Rota’s soundtrack for Fellini’s Il Casanova at the moment. I love how inventive the score is, the variety of instruments used: electric piano, harpsichord, bass guitar, untuned piano and what sounds like glass harmonica and music boxes, as well as orchestra and choir and solo vocalists. Any recommendations for any more playful, sinister, vaguely surreal, lullaby-gone-askew soundtracks in this vein would be gratefully received. I want more! In fact, that space between the lulling and the nightmarish is fertile territory in other forms of music too (bear with me on that one: later in the week I’ll talk about a long-time favourite record that plays almost exclusively in this space. Too much work to do today to give it the time it deserves, I’m afraid). Actually that last bit veered into the negative: just to be clear, I love the Band (not unconditionally, obviously) and The Band is one of my favourite records of all time (it’s not flawless though). I’ve been thinking about guitar sounds lately, trying to establish in my own mind what it is I like about certain sounds, and maybe hit on upon ideas for how I can improve my own in so doing. With regard to acoustic guitars, I’m of the school that says a really large amount of the tone comes down to the player, for fingerpickers especially: the amount of nail on the right hand, the angle at which the thumb or finger makes contact with the string, how close the right hand is to the bridge, the fluidity of the picking movements, the way the left hand addresses the fretboard, the way the player holds the guitar – all these things make a difference. If someone else plays one of my guitars (and I’ve played the same two acoustic guitars since 1999 and 2001 so I know them pretty well by now), it won’t sound like me. The difference to my ears is obvious and immediately discernible. So it’s not just a case of going out and buying the ‘best’ guitar, since so much of the tone is in the player’s technique. 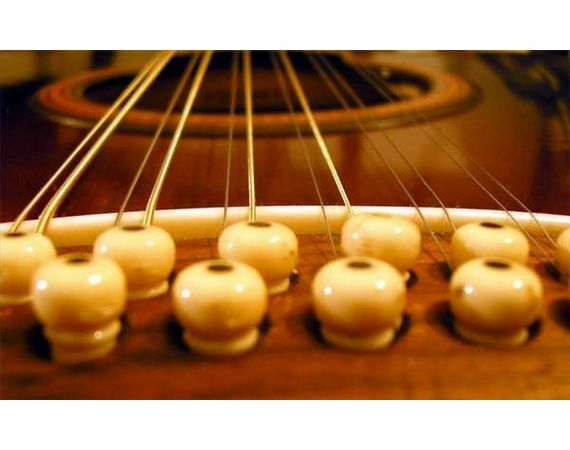 It’s about the marriage of the instrument and player, and then capturing that in the right acoustic space with the right microphone, the latter two of which are, of course, subjective and case-dependent. For me, the two acoustic guitars I play are so fundamental a part of who I am as a musician, the idea of replacing them is close to unthinkable. I might one day want a different one to create a different tone, but it would be an ‘as well as’ guitar, not an ‘instead of’. As for how to improve my own sound, that’s more a mission to find the right place to put the right microphone, since I am happy with the sound that happens when I play either my 12- or 6-string acoustic. Since I’m on the subject, though, I will just mention a few favourite acoustic sounds. John Wood did wonderful work in the 1960s and 1970s, and he made some of my favourite records ever (with producer Joe Boyd and without). 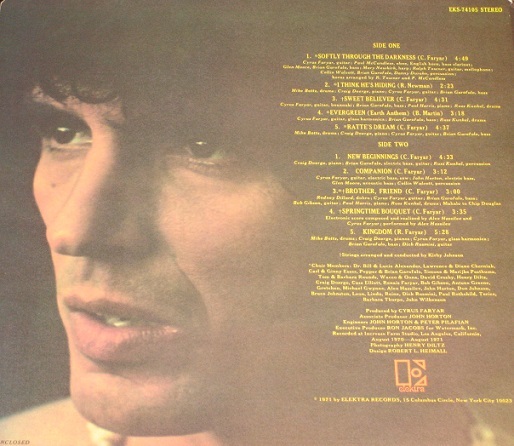 I’m a huge fan of the guitar sounds on the records he made with Nick Drake and John Martyn, and particularly Martyn. There’s a perception that big-bodied acoustic guitars like dreadnoughts are for flatpick strummers, playing country or pop or rock where you want volume and projection. John Martyn’s acoustic fingerpicking tone (think of the ballads from Solid Air or the sparer songs on Inside Out, not the stuff with pickups and amps and Echoplexes) is beautiful – deep and rich, clear and sonorous, sweet and powerful. Everything I’ve always wanted my tone to be, in fact. 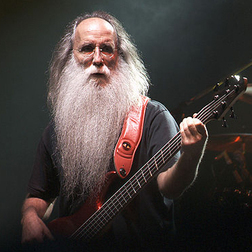 And to my knowledge, he never played anything but big old Martin dreadnoughts, the complete opposite to the tiny Guild parlour that Drake played. In completely the opposite direction, I do really like the midrange honk of David Rawlings, too. It sits brilliantly with Gillian Welch’s guitar – you can always discern his part within the blend of the two. Now there’s a sound that is unarguably about the marriage between instrument and player! I’m not sure I can imagine any other guitarist getting Rawlings’ guitar – a 1930s small-bodied Epiphone archtop – to sound anywhere near that good. I’ll go into bat, too, for the acoustic guitar sounds on After the Goldrush, particularly the bone-dry tones on the songs recorded in Neil Young’s basement studio (Only Love Can Break Your Heart, Don’t Let it Bring You Down and so on). Great sounds, big and full, right in your face. Electric guitar sound is a complicated beast. It’s another one I’ll get back to soon. This entry was posted in Gear, General, Music and tagged 12-string guitars, David Rawlings, Fellini, guitars, John Martyn, Neil Young, Nino Rota, Spurs, The Band on April 7, 2013 by rossjpalmer.